For installing any apps unavailable on the App store, you need to install them externally, i.e. through 3rd party by jailbreaking your device. 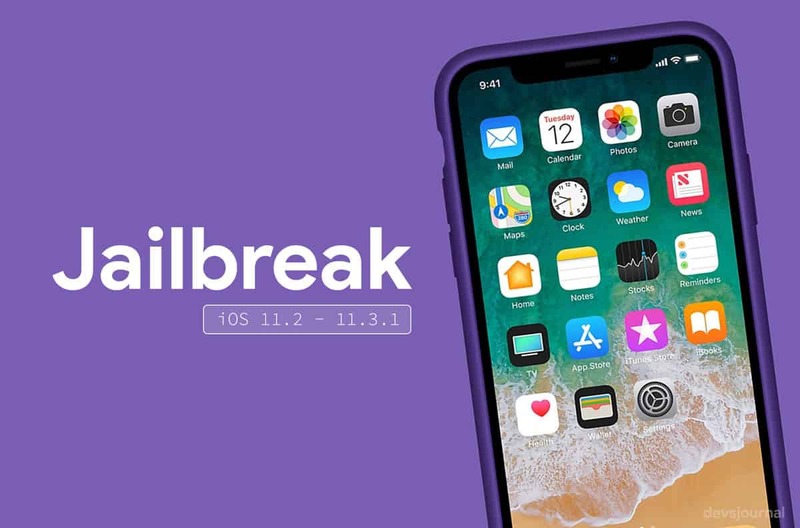 While you can still install Apps using Cydia Impactor, after Jailbreak, you won’t be needing any assistance and can directly downloaded from Cydia. Now inorder to jailbreak you need to install simple software called Cydia on your apple device. For those who do not know what is Cydia, let me throw some light on this topic. Cydia is nothing but a simple package modular app used to find and install apps on jailbroken apple devices such as iPhones, iPads and iPods. Many of the apps available on Cydia are those who could not pass through the approval process of the official App Store, usually because they ran afoul of the restrictions Apple puts upon apps in the official store. For example, any app that replicates the functionality already found on the device can be rejected, which is why Google Voice was famously rejected years ago. The programming language used for Cydia is Objective – C.
However a word of caution, Jailbreaking your device is though not illegal but Apple may want to cancel your warranty incase you get your device to service centre for repairs. Technically, in US, according to Digital Copyright Act, it is illegal to jailbreak your device. DevsJournal takes not credit and will not be responsible for any illegal action taken by you for your devices or whatsoever. This article and steps provided in it are just for education and information purpose. Step 1. Open Safari browser on your iPhone and go to next.tweakboxapp.com. Once the site loads up, tap on the “APPS” tab at the top navigation. Step 2. Click on “Tweaked Apps” option on the Tweakbox page. Now scroll down a bit and you’ll find an App named as “Electra 11.3.1 MultiPath(proper)”, tap on it. Step 3. Once you’re on the “Electra 11.3.1 MultiPath(proper)” page, tap on the red Install button at the center of the screen. Then hit “Install” again on the confirmation prompt that appears. Step 4. 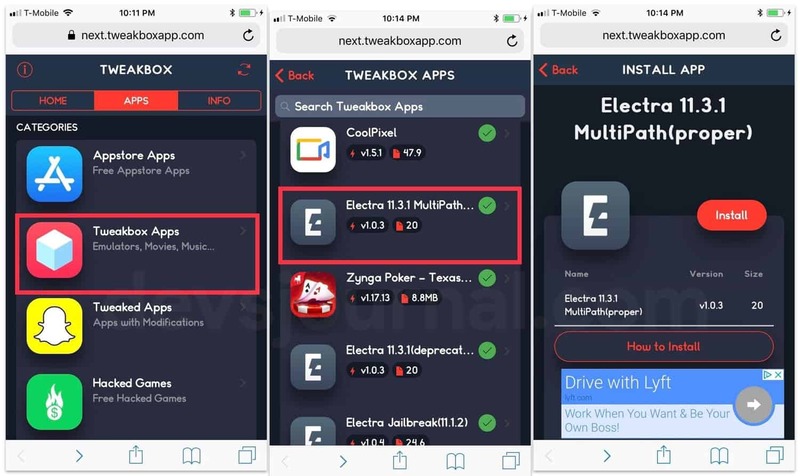 Now, your iPhone will download Electra Jailbreak app from Tweakbox server. You can close safari window after 1-2 minutes and you’ll find a newly installed App “Electra“. Step 5. Just like every other external app, before using the app you need to trust the developer profile of the App. To do that, Open Settings app on your iPhone > General > Profile & Device Management > Within the Device Management page, tap on “Trust DingshengcaifulInvestment Management,” then select “Trust” again from the prompt that pops up to confirm your selection. Step 6. Exit from Settings App and launch Electra App. Tap on “Enable Jailbreak”. Your iPhone will automatically boot after few mins and after booting up, you’ll have a Cydia app icon on your homescreen. After opening the website check your device ios version and then proceed with installing Cydia in earlier manner.